Can dogs eat Banana Chips? What to keep in mind! You have already found out that your dog likes bananas. But can dogs eat banana chips? Are they just as healthy as the fresh banana? Yes, the banana chip is considered to be all natural, gluten-free and grain-free even if you buy them on Amazon. 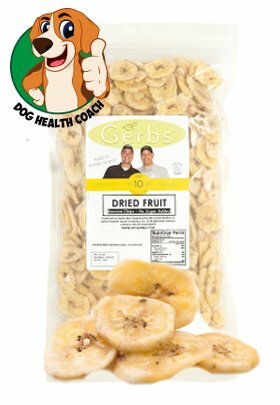 Banana chips are easy on your dog’s tummies and also are a great energy snack. The health benefits are that they contain a great source of potassium, contain vitamins B6 and C, a great addition for some added dietary fiber and good for any upset stomach. 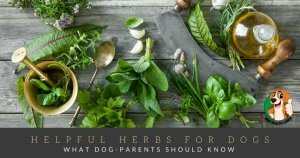 Dogs can also eat other dried fruit as well such as apples and even apricots, but do make sure that you monitor the amount given to your pet. Bananas are sweet and do have a high fiber content. Potassium that is found in bananas also will help your pet maintain cardiovascular health. Interested in making your own banana chips for your dog to eat? There are plenty of recipes to be found in how to make these tasty treats but remember they may not be as crispy as the ones you can buy ready to eat, but you will save some money if you don’t mind making them yourself. Just cut a banana about 1/4 inch or thicker and add some lemon juice to prevent browning before baking. The trick to making these is to remember to use your oven at a lower temperature usually about 250 degrees and bake for about 3 hours turning the banana chips over halfway thru. That’s it! You made your own banana chip for your dog. Other recipes show that you can even add cinnamon to it prior to baking but also use coconut oil instead of the lemon juice. Besides making these treats yourself, you won’t have to worry about any food recalls, and you will also know that nothing else is added into it like many added preservatives or chemicals. Banana chips are great to use when stuffing your dog’s Kong toy. If you buy the banana chips already made you can break them down further and use small pieces to reward your dog as a training treat. How about banana peel and dogs? Never include the banana peel when feeding your dog bananas whether fresh or dried. More and more veterinarian’s these days are recommending bananas for your pet if they have some bowel problems going on. How many dried fruits are okay? Even though your dog can eat the banana chips and other dried fruits it can also cause the dog to get diarrhea especially if they are eating a large amount of the dried fruits and too much of a good thing can also lead to heart problems in dogs. Certainly, a few chips of any dried fruit here and there should be safe for them to enjoy as a treat. 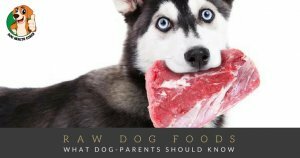 Check out our post on other human foods dogs can and can’t eat! Have you made any banana chips for your dog? Does your dog like bananas and other fruit?